Home » KNOW HOW » SOFTWARES » WINDOWs » EASY WAY TO OPEN YOUTUBE. EASY WAY TO OPEN YOUTUBE. HI friends I' hope you all fine. 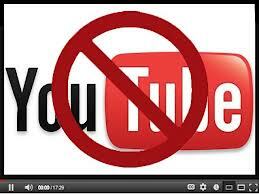 In this post I'm going to tell you the easy way through which you can open YouTube., . As we know that YouTube and some sites are blocked for some reason. Which we not gonna discuss in this post. This blockage is not just between you and YouTube, this is for all business people , students, teachers. There is a big reason behind this. But on YouTube there are important lectures and videos which we missed and also YouTube is the largest entertaining portal for people. but there should be limit for anyone to post content that should not hurt peoples or their religion. This is too bad. Just follow these steps to unlock YouTube. Just download HotSpot shield on your computer DOWNLOAD LINK. You will see a blue icon on your desktop. Open it and press the Connect button . This will open your site without any conflict. ENJOY. Don't forget to comment and share. DON'T BE SELFISH. But if you don't want to use any kind of software. Don't worry here is the solution. Just go to www.vobas.com. Click to open. You will a tab, above it you will see Enter your URL. There you have to enter www.youtube.com.